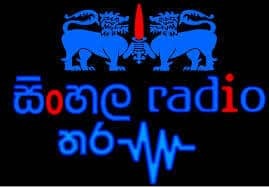 Tharu FM Sinhala Hindi Radio Sri Lanka Live Streaming Online . Listen Over 70 Sri Lankan Radio stations live Online . Enjoy Live Streaming Of Srilankan Music News 24 by 7 Online . This Station Streams Sri lankan classical sinhala songs, Hindi songs and international instrumental music . This Radio database consist of 5000 plus High quality audio tracks.This Station audio stream is controlled by multi band dynamic processor. It reaches a new level of high quality sound by intelligently correcting distortion, Integrated digital stereo generator with advanced peak control. This FM Plays well in Google Chrome or Mozilla Firefox . If You are using Apple products like iPad or iPhone use Google chrome or safari browsers. If you are using android products use Google chrome browser.FM will start playing automatically . Please wait for 20 Seconds to listen this station(Player loading may take 20 Seconds). In Some devices FM may not start automatically ,press play button to start listening to the station. Always update your chrome browser to latest version in all devices ( laptop , android devices, Apple products ) etc.